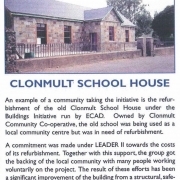 Clonmult Old Schoolhouse | . 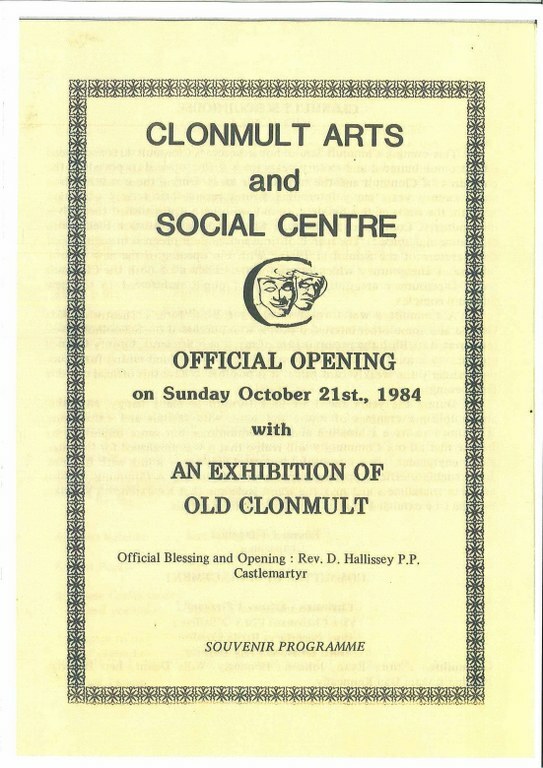 Clonmult School opened its doors to pupils in 1864 for girls and in 1865 for boys. It would act as a centre of learning for the next one hundred and thirty six years. 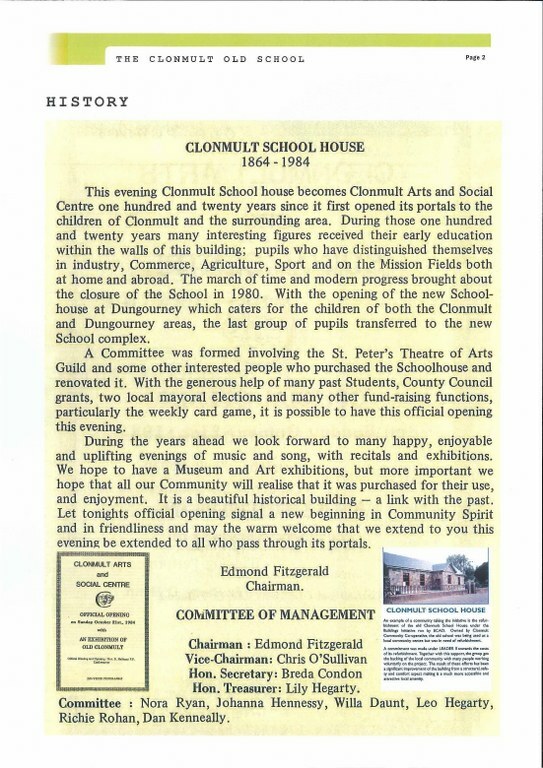 The march of time and modern progress brought about the closure of the school in 1980, following the construction of a new school in Dungourney to cater for children of both Clonmult and Dungourney. 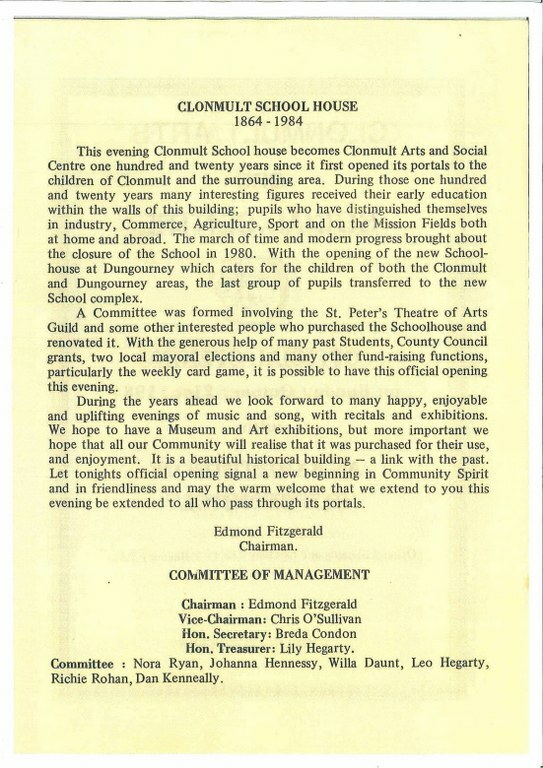 In October, 1981 a committee including St. Peters Theatre & Arts Guild and other interested people was formed with a view to purchasing the Old School from Fr. Buckley PP. 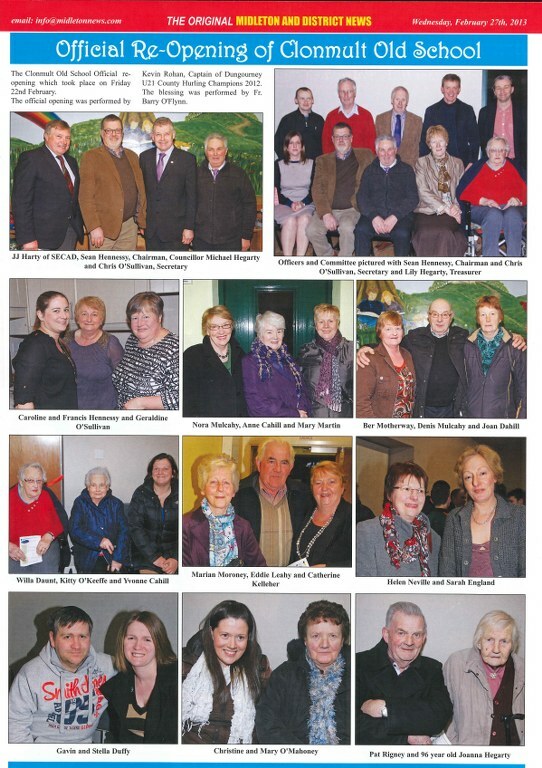 The committee included Edmond Fitzgerald, Chairman, Christy O’Sullivan, Vice-Chairman, Breda Connery, Secretary, Lily Hegarty, Treasurer, Mrs Hennessy, Mrs. Daunt, Nora Ryan, Leo Hegarty, Dan Kenneally, Frank Keating, Richie Rohan and Mrs Morrisson. A deputation from the committee met with Fr. 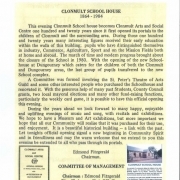 Buckley and a price of £5,000 was agreed for the building. 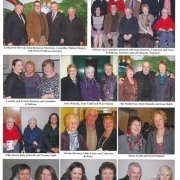 Three Trustees were appointed to act for the committee – Edmond Fitzgerald, Christy O’Sullivan and Leo Hegarty. Following the death of Fr. Buckley PP, his replacement Fr. Dan Hallissey PP completed the sale with the committee. Progressive 45 being played each Wednesday night in the small Hall at back of Church was transferred to Old School. 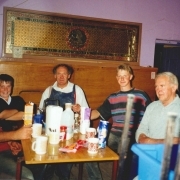 (The Hall at the back of the Church which was given to the community by Canon Egan had served the community for many years, having begun life as a stable and coach house for the curate). 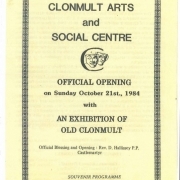 In 1986 we became a Co-Op – Clonmult Community Co-Operative Society Ltd.
1986 was also the year Ann Hickey and Mary O’Mahony started up the Playschool so we became a working school again. 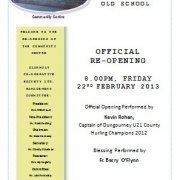 During these years renovations were ongoing as funds became available. 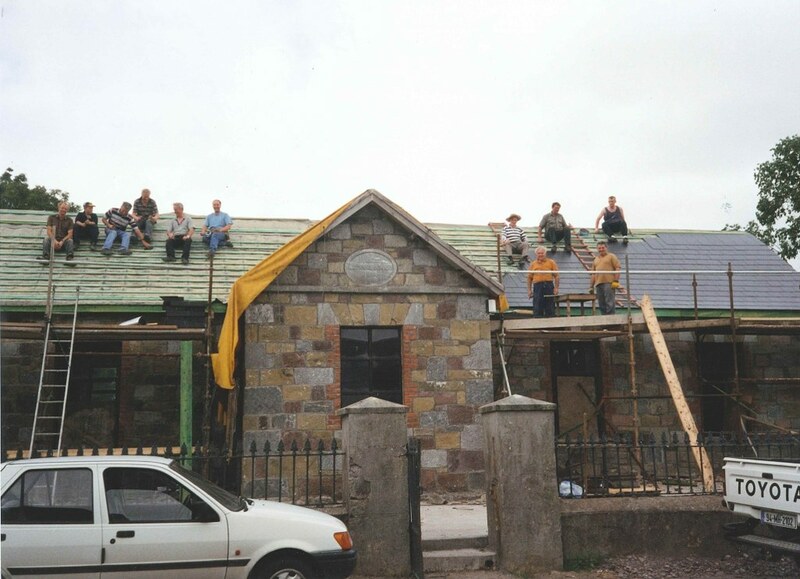 In 1998 the roof and the playroom were in great need of repair. 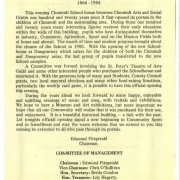 We approached ECAD regarding funding for same. They were willing to grant aid us but we would need matching funds. 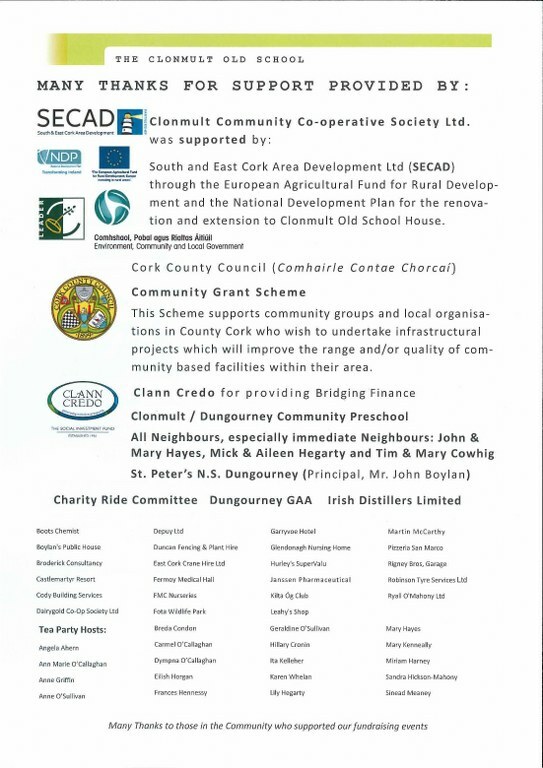 Following consultations it was decided that we as a community, instead of raising funds, would supply all the necessary labour on a voluntary basis with ECAD supplying cost of all materials. 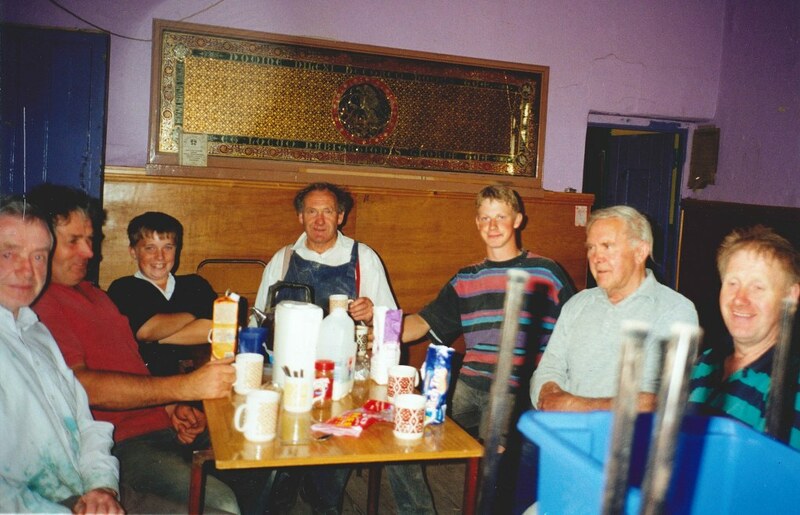 And so began the summer of ’98 – A real community effort under the stewardship of Timmy Mulcahy. The roof was replaced, playroom walls hacked down and dry lined, ceiling lowered and playground at front of school concreted over. Gas heating was also installed. 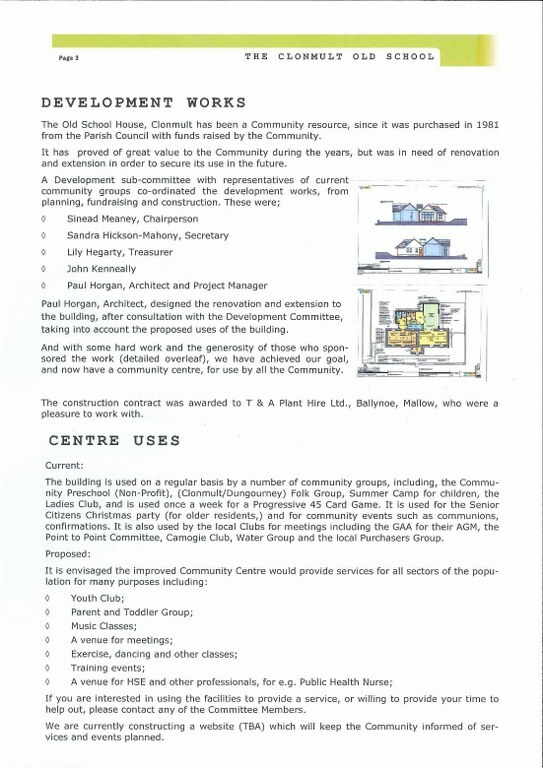 What began on the 16th April ’98 and finished on the 14th September ’98 is something we can all be proud of as a community. 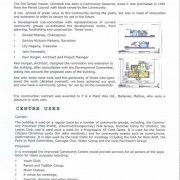 In 2011 with a view to further upgrading the facilities a Development Committee was set up. 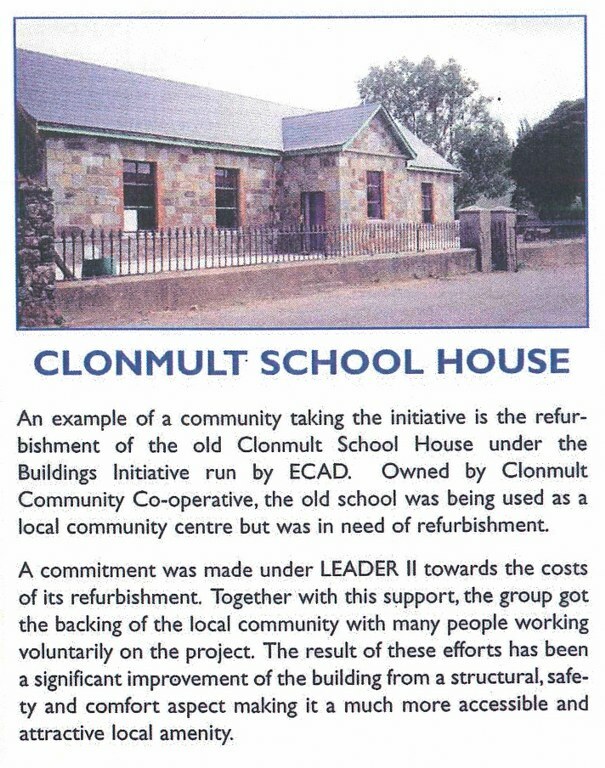 It consisted of two members of the Preschool Committee and two from the Co-op – Sinead Meaney, Sandra Hickson-Mahony, John Kenneally and Lily Hegarty with architect Paul Horgan joining us. 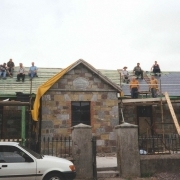 It was decided to build on an extra room with new kitchen and toilets and to upgrade the two existing rooms – new floors, windows, doors etc. Paul secured planning for us. 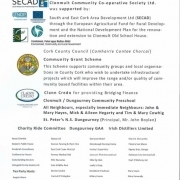 Funding for the project came in the form of Grants from SECAD (75%) & Cork County Council, plus funds from Preschool and Co-op. Work began in July 2012 and finished in October, 2012. 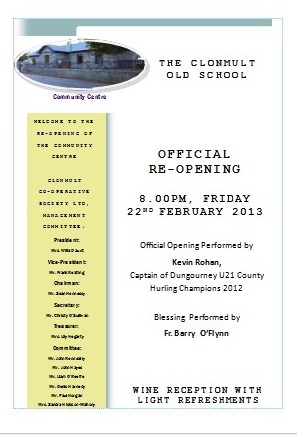 Official opening on Friday 22nd February, 2013 was a great night for the community.